Eye: Rich vermilion red colour. Nose: An equally rich mélange of rustic flavours. Notes of leather, tobacco and walnut come to mind. Palate: Toasted almond with end notes of violet and vanilla. A spiced end note. 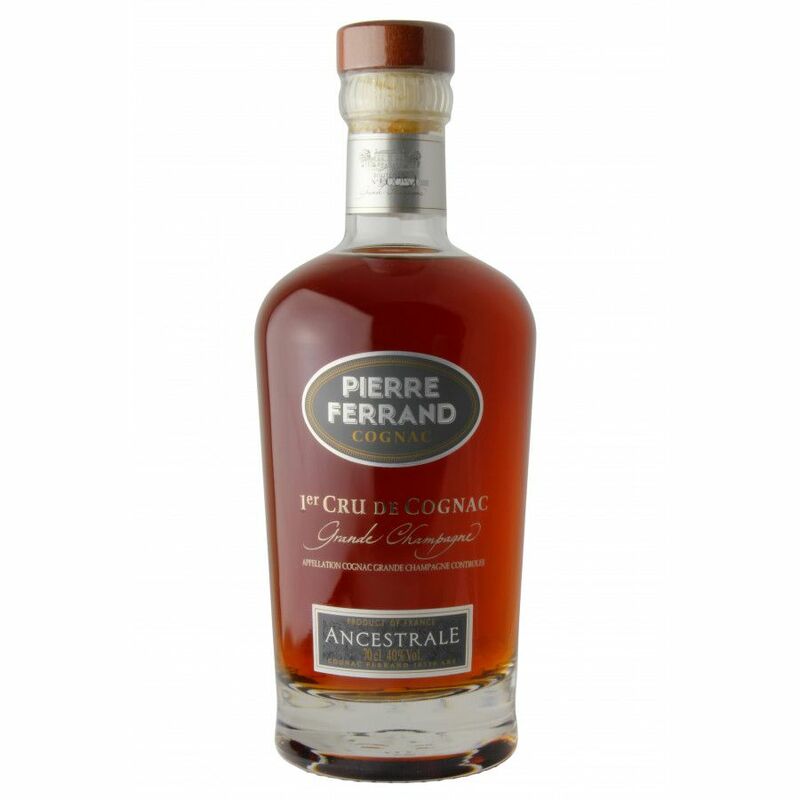 The Pierre Ferrand Ancestrale, is a pure Grande Champagne Cognac. At about 70 years old, it is an impeccable ‘Ancestrale’ blend and forms part of a collection of Cognacs that are some of the oldest in the house’s cellar. These Cognacs are sometimes better known as ‘"Vieille Réserve" or "Réserve Limitée" and essentially translate to one that is very aged. Their bottles are considered to be among the most exclusive of all established Cognacs houses, and the craftsmanship of the ageing process is certainly celebrated. 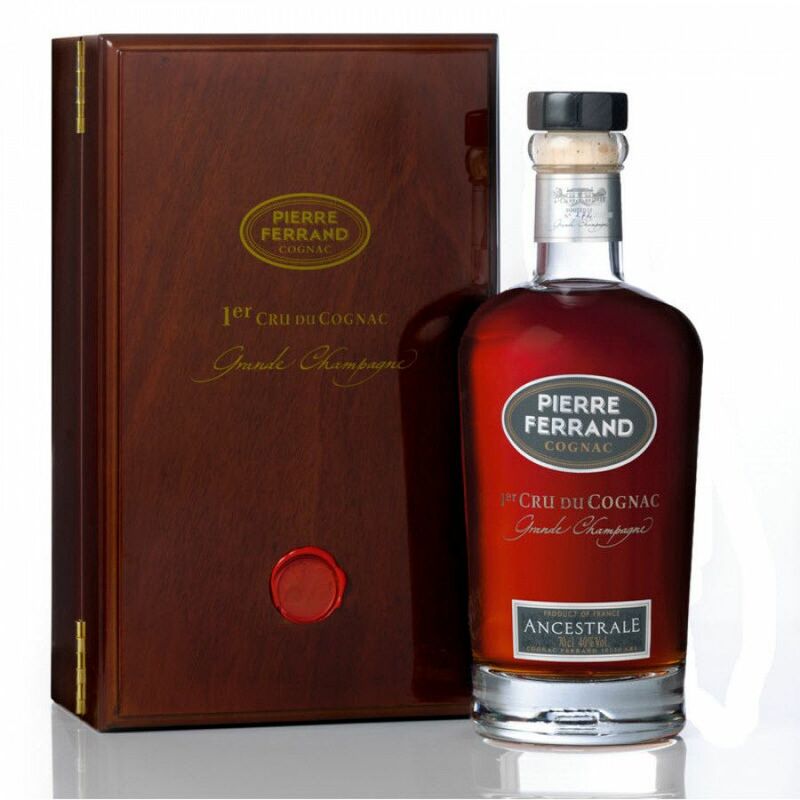 Pierre Ferrand pride themselves on making their bottles of Cognac Ancestrale to order, and present them in a hardwood case. The production of this Cognac is limited to 300 bottles per year. Due to the high elevation of this terroir and the millions of years of marine fossils embedded in the earth, the chalkiness of the soil in this region makes for Cognac with a particular finesse. To reach its peak, it has to be aged in Limousin oak barrels for an extended period of time. The Cognacs that reach this age and continue to develop their flavours are few and far between - but Pierre Ferrand does it exceptionally well. What designates the Pierre Ferrand Ancestrale as a particularly remarkable Cognac, is that the blending process comprises both heritage dating back generations, and intuition. This ‘ancestrale’ Cognac is best served neat to truly invite all of the flavors to enlighten your senses. Founded in 1702, the Maison Ferrand comprises over ten generations of cellar-masters and expertise, and is currently the sixth largest of all cognac producers in the region. 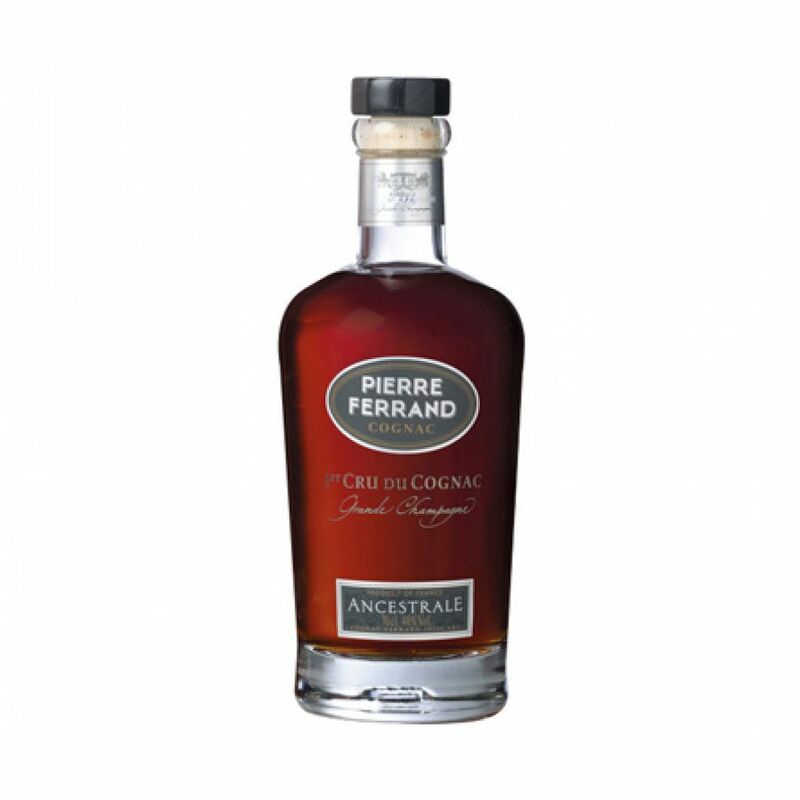 The Pierre Ferrand Cognac house are masters of a particularly exceptional distillation process; one which encompasses the “methode des petites eaux” to reduce the alcohol content and create a sweet tasting water, which is then added to the ageing, older blend. The distinctive flavors and aromas of a Pierre Ferrand Cognac are due to the fact that it is carefully cultivated on the Angeac-Champagne terroir, also known as the “Golden Triangle” of Cognac production. This micro-terroir is spectacular due to its chalky composition that create an optimum level of acidity. This is considered to be the "Premier Cru" of Cognac production, and is home to some of the finest vineyards. The unique process does not stop there, however. From the location of grape growth on a small area of land, to the distillation on the lees; Pierre Ferrand Cognacs are the brainchild of the region’s best connoisseurs. Today, its headquarters are located in the picturesque Château de Bonbonnet just a short distance from the town of Cognac itself. The château dates back to the eighteenth century, and the maison is headed by Alexandre Gabriel.